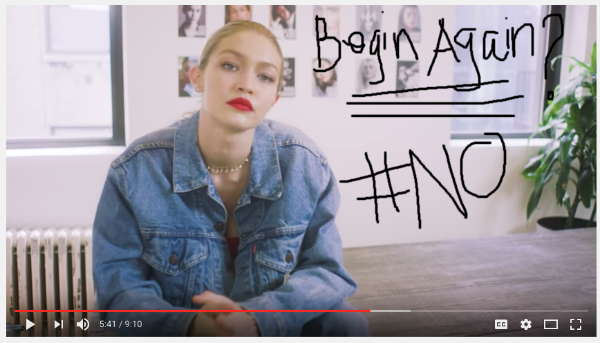 I don't know if you've seen Gigi Hadid's 73 Questions video thing Vogue does for all of their cover stars, but I have and I have something to complain about. And I am flabbergasted. I'm appalled. Disgusted. Wow. Dear John is a fine song. Stay Stay Stay is a horrible song. Forever and Always is good and about Joe Jonas, who Gigi also dated. How You Get The Girl is ok. Clean is good. This Love is NOT GOOD. Long Live is fine. Tim McGraw is the only good song on the list. Better Man is juvenile. I have a very good well thought-out theory that all the Grammy voters were in one room listening to the album Red deciding if it should be named Album of the Year and they were all for it until the very last track on the album, Begin Again, started playing. And then they decided against it because it is not only the worst song Taylor Swift has ever written, but it's the worst song ever written, I'm a music critic now. Seriously, Gigi likes some of Taylor's worst songs, so I have 73 questions for you, Gigi.